Hello Dealsnloot Readers,My Universe Flipkart Offer: LINK YOUR ACCOUNT AND GET A FLIPKART VOUCHER. MyUniverse Offering Amazing Loot Offer, Where you will Get Rs 100 Flipkart Voucher Absolutely Free. 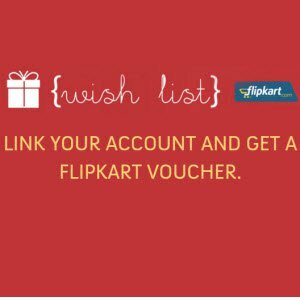 Just Follow Below Steps to Get Rs 100 Flipkart Voucher Under MyUniverse Flipkart Offer.Get Rs 100 Flipkart voucher on Linking account. MyUniverse is designed to protect the confidentiality, integrity and security of your personal information during storage and transmission of your data.So Grab This Loot Offer And Flipkart Gift Cards. 4. Once you link your account share your Name, Email, Mobile no and Linked Account number to info@myuniverse.co.in. You will receive a gift voucher within 30 days of linking the accounts. Gift voucher will be sent within 30 days of linking the accounts. Important :– Link account at your own risk though MyUniverse is powered by Aditya Birla Money and completly safe.